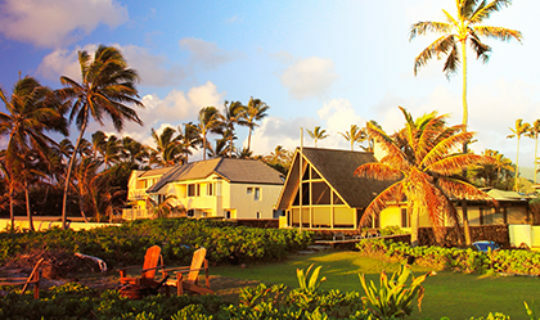 Did you know that approximately nine million people visit the Hawaiian Islands every year? Or how about the fact that the state calls itself home to roughly 222,000 visitors on any given day? While visiting one (or all) of the Hawaiian Islands is a bucket list trip for many people, some have a bigger dream: they want to live on the beautiful beaches of Hawaii. Whether you’re seeking a change of scenery or moving for a job opportunity, living in Hawaii could be a dream come true. However, before you book your ticket and pack your bags, there are a few key details to understand. Most importantly, you should focus on the cost of living in Hawaii. There’s a good chance that you’ll be stepping into a different (and more expensive) world. According to Zillow, the median price of homes currently listed in Hawaii (as of August 2017) is $608,500. Things don’t get that much more affordable when renting, with the median rent price hovering around $2,300. Home values have increased 7.3 percent over the past year, with more of the same expected in the 12 months to come. Housing in Hawaii may not be the most expensive in the entire world, but it definitely isn’t cheap. A big portion of your income may go toward a place to live. Buying a home is just the start. Once you’ve setup shop, it’s time to maintain the property and pay for utilities. As noted by the U.S. Energy Information Administration, Hawaii is tops in the country when it comes to the average monthly electric bill. Electricity is just the start, as you’ll also have to pay for other utilities such as water, gas, internet, and cable. Many of the food products in Hawaii are imported from the mainland, meaning that prices are well above what you would pay in the contiguous United States. According to the Missouri Economic Research and Information Center, groceries in Hawaii are the most expensive in the United States. If you think you’ll get some relief by eating out, think again. The cost of dining out in Hawaii is also at the top end. However, there is some good news: you can purchase coffee and fresh fruit from locals at a reasonable price. You can opt for public transportation – such as Oahu’s public bus service – as a means of saving money. However, if you want to drive your own car, you should expect to pay top price for gasoline. According to AAA, the national average gas price on August 10, 2017 was $2.36/gallon. In Hawaii, however, the average price was $3.07/gallon, which is the highest in the country. One area in which Hawaii performs well is taxes, with its effective property tax rate sitting at 0.28 percent. Also, Hawaii is known for being one of the most tax-friendly states for retirees, thanks in large part to the fact that it exempts Social Security retirement benefits from state tax. Although Hawaii does not have a sales tax, it does collect a four percent general excise tax on business activities, which includes retail sales. Note: Hawaii’s top income tax rate of 11 percent is high, but it’s important to note that it uses a 12-tax bracket system. This means that most people are not subject to the highest tax rate. As the most expensive place to live in the United States, you need to carefully consider a move to Hawaii. But you also may have an opportunity you can’t pass up, and certainly the beauty of the place is a draw. You’ll have to balance the enjoyment of beaches, warm weather, and natural surroundings with financial realities. To augment the savings you may use for such a big transition, a personal loan is another way to pay for additional expenses – movers, new furniture, travel, etc. By combining your cash with the power of a personal loan, you may have just what you need to turn your dream of living in Hawaii into reality.